The Board of Editors of the interdisciplinary journal Quaderni di Studi Indo-Mediterranei is soliciting contributions to its sixth thematic volume, scheduled to appear in 2013. This issue will contain twelve to fifteen essays addressing the theme of the cultural and religious interactions between Hebraism, Christianity and Islam. The “Three Rings” parable, known in Western culture mainly through Boccaccio’s novella in the Decameron and Lessing’s Nathan der Weise, has been subject to research for a hundred years or so. Some scholars have argued that the parable originated in Spain, but its exact source remains unknown. In any case, the emergence and development of his suggestive message, including the eight and sixteenth centuries, evidently origins in the Mediterranean context of intercultural and inter-religious relations between Jews, Christians and Muslims. In particular, Western esotericism has been characterised as the combination of Alexandrian Hermeticism, Neo-Platonism and related religious philosophies of late antiquity and the traces each has left in the three Abrahamic religions. For this process, very important was the uninterrupted translation of texts between Arabic, Latin and Hebrew languages. Still today these three Mediterranean cultures are mixed together in narrow and interesting plots. All aspects of the cultural connections between Hebraism, Christianity and Islam in history of religions, theology, philosophy, mysticism, esotericism, literature, visual arts, music and folklore are welcome. Please send proposals for essays (250 to 350 words) accompanied by a bio- bibliographical sketch to Alessandro Grossato: , by September 30, 2012. Quaderni di Studi Indo-Mediterranei accepts proposals and essays in all major European languages. The editors of the volume will strive for a balanced and diversified table of contents. They will confirm accepted submissions by December 2, 2012. Subsequently, the final deadline for submitting the completed essays will be June 1, 2013. The average length recommended for each contribution is of 6,000 words, with a maximum length allowed of 7,000 words, including footnotes and bibliographical references. The journal Quaderni di Studi Indo-Mediterranei is based at the University of Bologna, Italy, and is supported by ASTREA (Associazione di Studi e Ricerche Euro- Asiatiche). Editor in Chief: Carlo Saccone; Board of Editors: Daniela Boccassini, Alessandro Grossato, Carlo Saccone. The journal counts among its editorial associates world-renowned specialists from major European and North American Universities. Quaderni di Studi Indo-Mediterranei is committed to upholding a high profile in comparative studies and the highest standards of peer-reviewed scholarship. Call for Abstracts: "A 'Supernatural' History of Central Europe, 1870-present"
Despite the ostensible “disenchantment of the world” proclaimed by Max Weber at the beginning of the twentieth century, Central Europe has a rich modern history of occultism, folklore, paganism, and popular religion. Yet the “supernatural history” of this ethno-culturally diverse region, extending from the Rhine and Baltic in the North and West to the Vistula and Danube in the South and East, has yet to be written. To be sure, the last twenty years have witnessed a renaissance of interest in Catholic, Protestant, and Jewish religious practice since the late-nineteenth century. With the exception a few excellent monographs on occultism and parapsychology, however, historians have been slow to investigate less conventional aspects of the “supernatural” in Modern Central Europe. We seek abstracts from scholars interested in exploring the new spiritualities, unique metaphysical experiences and practices, and novel explanations of the world that stood somewhere between natural scientific verifiability and the shopworn truths of traditional religion, and which flourished across Central Europe in the wake of the Second Industrial Revolution. We are keen to see submissions that integrate social, political, and cultural history with “supernatural” thinking and practice, broadly conceived. We are especially interested in submissions that will extend their analysis and explorations beyond national boundaries, connecting people, ideas, experiences, and movements interculturally and transnationally. Obviously, profound complexities inhere in the term “supernatural”—and no less so in terms like “popular religion,” let alone “superstition.” All of these terms bristle with invidious distinctions and reifications imposed by those seeking to draw sharp contrasts between “orthodox” and “heterogeneous” manifestations of religion and between “science” and “popular belief”—which for our purposes might refer to various methods of explaining, knowing, and experiencing the world that somehow draw on the numinous or the metaphysical. Not only has the presence and broad scope of such practices and ideas not yet been fully explored, but they have also not been properly integrated into larger histories of Central European culture, society, and politics—despite the fact that they have from time to time been the cause of considerable friction. By bringing together scholars from German, Austrian, Hapsburg, and Slavic Studies, we hope to address questions central to the study of Central European politics, culture, and identity in new ways. What meanings can we assign to the renewal of interest in occultism, “pseudo-science,” and folklore studies in the decades around the fin-de-siècle? How does the waxing or waning of these fields relate to questions of war and peace, revolution and reaction, crisis and stability? How have differences between “science” and “pseudo-science” been articulated in various moments and why? How did folklore, occultism, “pseudo-science” and other “supernatural” practices function as alternatives to organized religion at various moments in the Central European past? How was a fascination with the “supernatural” reflected in popular culture and the arts from the nineteenth century to today? What roles have popular superstition and everyday rituals played in Central European attempts to negotiate the trials of the twentieth century? What role did such rituals––“political religion” or otherwise––play in the legitimization of fascism, communism, and other forms of authoritarian politics before and after 1945? What influence did “supernatural” ideas and practices have in generating policies of ethnic cleansing, eugenics, and imperialism, or how can they been seen as a response to those policies? What were the differences East and West of the Iron Curtain after 1945? What are the implications in terms of class, gender, identity, and ethnicity? Monica Black ( ) and Eric Kurlander ( ) by AUGUST 1, 2012. Launch of Polish-language journal Hermaion. Readers of Polish will be pleased to hear of the launch of a new journal, Hermaion, the first scholarly journal on the occult in the Polish language. To visit the Hermaion home page, click Here. Dariusz Misiuna: Na początku był blef. Kazimierz Banek: Hermes Trismegistos. W poszukiwaniu genezy mitu. Jacek Sieradzan: Sokrates a nauki tajemne. Piotr Piotrowski: Na tropie kosmicznych wzorców. Jerzy Prokopiuk: W obronie grzechu. Poważny żart immoralisty. Mirosław Piróg: C.G. Jung i tradycja hermetyczna. Bartosz Samitowski: Gnostycy, alchemicy, Jung: Czerwona Księga a hermeneutyka indywiduacji. Tomasz Stawiszyński: Mit i metoda. Krzysztof Grudnik: Pragmatyczne podstawy filozofii Aleistera Crowleya. Tadeusz Cegielski: Mity założycielskie wolnomularstwa spekulatywnego. Rafał Prinke: Dwa rękopisy. Polskie tropy u początków Hermetycznego Zakonu Złotego Brzasku. Anna Mikołejko: Eusapia Palladino w Warszawie. Akt założycielski polskiego spirytyzmu. Zbigniew Łagosz: Mit polskiego satanizmu - Czesław Czyński - proces, którego nie było. Michał Knihinicki: Mit założycielski w organizacjach satanistycznych. Patryk Balawender i Dariusz Czywilis: Mitotwórcza funkcja spisku na przykładzie wybranych teorii. Jerzy Kolarzowski: Uroda mitu i muzyki. O Don Giovannim Saury. Poetyka filmowej narracji. Zbigniew Łagosz: Śląska sztuka magiczna. Dariusz Misiuna: Niepokorni uczniowie Bestii. Dariusz Misiuna: In the beginning was a bluff. Kazimierz Banek: Hermes Trismegistos. In search of the origins of the myth. Jacek Sieradzan: Socrates and the occult sciences. Piotr Piotrowski: On the trail of cosmic patterns. George Prokopiuk: In defense of sin. A serious immoralist joke. Miroslaw Pirog: C.G. Jung and the Hermetic tradition. Bartosz Samitowski: Gnostics, alchemists, Jung: The Red Book of a hermeneutics of individuation. Thomas Stawiszyński: Myth and Method. Christopher Grudnik: Pragmatic foundations of the philosophy of Aleister Crowley. Tadeusz Cegielski: Founding Myths of speculative Freemasonry. Raphael Prinke: Two manuscripts. Polish clues at the beginning of the Hermetic Order of the Golden Dawn. Anna Mikołejko: Eusapia Palladino in Warsaw. Constitutive Act of the Polish spiritualism. Zbigniew Łagosz: The Myth of Polish Satanism - Czeslaw Czynski - a process that was not there. Michael Knihinicki: The founding myth of Satanic organizations. Patrick Balawender and Dariusz Czywilis: myth-making function of the conspiracy, based on selected theories. George Kolarzowski: Beauty myth and music. The Saura's Don Giovanni. Poetics of film narration. Zbigniew Łagosz: The magical art of Silesia. Dariusz Misiuna: Rebellious students of the Beast. In the last few years, several good books have appeared that consider so-called “paranormal” beliefs, discourses, and experiences as an object of inquiry for religion scholars. Like the category “religion,” the category “paranormal” is poorly circumscribed and may potentially include a wide milieu of supernatural and pseudo-scientific beliefs and ideas. We seek papers that address the place of paranormal discourses within the larger context of religious and cultural studies. We also invite papers on religious aspects of specific paranormal discourses such as UFOs, psychics, hauntings, etc. Potential authors should first review Nova Religio’s website to get a sense of the aim and scope of the journal. Authors should follow the guidelines for authors on the website for the format of the paper and its citations. Submission queries, including abstracts, should be sent to Joseph Laycock: . Completed articles are due August 1, 2012, and should be approximately 8,000-10,000 words including all documentation and critical apparatus. As the guest editor, I will make the initial determination about which papers are suitable for publication, and work with authors to improve their draft papers before forwarding them to Nova Religio’s co-general editors. The co-general editors, Eugene Gallagher, Joel Tishken, and Catherine Wessinger, will make the final decision about whether or not a paper can be accepted for publication in Nova Religio. Bertrand Méheust, "Introduction to the history of modern and contemporary esoterism"
on "Introduction to the history of modern and contemporary esoterism". The seminar will be in French, at IMI (Paris), the 3/4 March and 7/8 April 2012. Ces séminaires se baseront sur deux cours donnés à l’Université de Lausanne en 2010. Ils sont ouverts à tous mais le nombre de places est limité. avec sa thèse Somnambulisme et Médiumnité (Les Empêcheurs de Penser en Rond, 1999), il intervient également dans le débat sur l’écologie et la politique. Le concept d’états modifiés (ou non ordinaires, ou altérés, de conscience) qui seraient l’objet d’une branche nouvelle de la psychologie, est une idée récente, liée à la reprise, par la science contemporaine, de dimensions de l’expérience qui jusque là dépendaient du domaine magico-religieux. Cette nouvelle branche de la psychologie, relativement récente sous sa forme académique, ouvre des perspectives très riches, mais elle est encore l’objet de polémiques. Nous sommes donc dans un sujet « chaud », ce qui le rend d’autant plus passionnant. Cette idée émerge au début des temps modernes, en même temps que ce que l’on appelle aujourd’hui les « sciences psychiques ». Auparavant, ces états de conscience « non ordinaires », ou « modifiés » (on verra les nuances que recouvrent ces expressions) étaient vécus sur un tout autre registre. La psychologie n’était pas encore née, la catégorie de l’individu n’existait pas encore, ou du moins n’avait pas le sens et l’importance qu’elle a prise aujourd’hui, et ces états de conscience étaient vécus par ceux qui en faisaient l’expérience, et pensés par la société, à travers le registre magico-religieux. Pour pendre un exemple, au XVI° siècle une épidémie d’apparitions du diable se développe en Europe, particulièrement en France et en Allemagne. Cette épidémie est d’abord vécue à travers les concepts de la théologie de l’époque. Les contacts avec le diable ne sont pas pensés par les juges et les théologiens du XVI° siècle comme un problème psychologique à élucider, mais comme une invasion diabolique réelle et terrifiante qu’il faut arrêter par une répression impitoyable. Puis, avec un médecin hollandais nommé Jean Wier, pour la première fois, les sorcières ne sont plus considérées comme des personnes malfaisantes qu’il faut punir et éradiquer, mais comme des malades en proie à des hallucinations qu’il soigner. L’appréhension de ces phénomènes se transforme, sans qu’ils perdent nécessairement pour autant leur pouvoir de fascination. 1) Dans une premier chapitre, je commencerai par un ensemble de définitions relatives aux états non ordinaires de conscience, puis je préciserai quelques notions, quelques outils théoriques que nous allons utiliser pour tracer une trajectoire dans ce domaine ; et notamment, celui du décrire construire. 2) Dans un deuxième chapitre, nous examinerons les arrière plans magico-religieux dans lesquels les états non ordinaires de conscience se sont d’abord développés, leur biotope originel, pourrait-on dire, à travers des exemples pris surtout dans le monde antique. 3) Dans un troisième chapitre, nous verrons comment la théologie chrétienne, puis le rationalisme, ont peu à peu rejeté cette dimension. Puis nous nous intéresserons à sa résurgence, à travers plusieurs mouvements qui ont défrayé la chronique aux XVII°, XVIII° et XIX° siècles, comme le magnétisme animal. 4) Dans un quatrième chapitre, nous envisagerons la question sous un angle dynamique, en cherchant à décrire le développement de ces phénomènes, leur surgissement périodique, sous forme de vagues. De décrire leur cycle en quelque sorte. 5) Dans une cinquième chapitre, nous examinerons un échantillonnage d’états non ordinaires de conscience, empruntés à divers moments de la culture, pour bien faire ressentir, à la fois leur diversité et leurs points communs, pour montrer les divers visages qu’ils sont capables de revêtir après une matrice commune. 6) Enfin, dans un dernier chapitre, nous ferons le bilan, pour conclure, de l’influence de ces états de conscience sur les divers secteurs de la culture : sur la psychologie, l’art, la littérature, la science, la politique. Plusieurs facteurs rendent difficile l’appréhension de l’ésotérisme. Il y a d’abord la mode qui règne autour de cette question, favorisée par les romans de Dan Brown, et toute la littérature du même genre. Mode dont le ressort principal est l’idée du secret et du complot. Un petit groupe de gens détiendrait une information depuis de temps immémoriaux et manipulerait à leur insu les hommes. Cette compréhension hollywoodienne et sensationnaliste ne nous apprend pas grand chose sur l’ésotérisme, mais elle est très révélatrice de notre société, elle parle au sociologue. Elle nous montre une société dirigée par des oligarchies opaques, une société dont la complexité est devenue telle que plus personne ne maîtrise les processus qui s’y déroulent. Dans cette perspective, les scénarios « conspirationnistes » où l’on introduit des thèmes propres à l’ésotérisme, comme le rôle secret des Templiers, ou de telle autre société secrète, dans le développement de l’histoire, traduiraient tout simplement le désir de garder le contrôle des mécanismes sociaux qui nous échappent en prêtant à des groupes la capacité de maintenir un contrôle secret sur les événements. La deuxième raison qui rend difficile l’approche de l’ésotérisme, et selon moi la principale, c’est que les courants de pensée que l’on regroupe sous ce terme générique traduisent une idée du savoir qui vient de l’antiquité, qui a participé à l’essor de la science moderne, mais qui s’est modifiée sous l’influence de la science. Et qui a été obligée pour survivre de prendre le maquis, de s’occulter. De ce fait, comme nous sommes façonnés par l’idée moderne du savoir véhiculée par la science, il est devenu extrêmement difficile de saisir ce qu’est l’ésotérisme. Y parvenir requiert au préalable de s’arracher au formatage qu’a opéré sur nous cette idée moderne du savoir. Cela exige donc tout un travail historique, philosophique préparatoire. la quatrième difficulté réside dans l’énorme volume des connaissances à assimiler, même pour celui qui s’en tient à la définition restreinte que je viens de proposer. Devant cette situation, il n’y a pas d’autre solution, surtout dans le cadre d’un cours d’initiation, que de pratiquer des carottages, de s’installer aux endroits stratégiques, ce qui requiert la maîtrise des points précédents. Pour toutes ces raisons, le parcours que je vais tracer avec vous va commencer par privilégier, à l’accumulation des connaissances factuelles, la maîtrise des outils conceptuels. Il est impossible de s’orienter dans l’histoire de l’ésotérisme sans commencer par tenter de préciser le concept même de l’ésotérisme, et pour y parvenir on ne peut le faire que par contraste avec le mode de savoir qui a précédé à la naissance de la science moderne, et que nous avons aujourd’hui le plus grand mal à saisir. Il en découle le plan général que je vais tenter de respecter dans l’organisation de ce cours. 1) Dans la première partie du cours, nous allons tenter de nous orienter dans l’ésotérisme, en le présentant par contraste avec les formes de savoir qui ont précédé la science moderne. Nous présenterons d’abord un échantillonnage de termes et de notions que nous ne cesserons de rencontrer pendant le cours. Nous montrerons la difficulté d’appréhender l’ésotérisme si nous n’en précisons pas au préalable le concept, et si nous n’en donnons pas une définition précise et restreinte. 2) Dans une deuxième partie nous examinerons le moment nodal ou se constitue l’ésotérisme, la naissance de la science moderne, la rupture galiléo-cartésienne. Nous montrerons que l’ésotérisme a participé à la naissance de la science et de la philosophie moderne, mais qu’en même temps il a refusé de suivre le chemin qu’elle a suivi, et que c’est cette divergence qui le constitue en propre. 3) Dans une troisième partie nous examinerons quelques grands thèmes de l’ésotérisme (notamment son intuition centrale de la « co-naturalité de l’homme et du monde »). En partant de cette idée-mère, nous verrons comment l’ésotérisme a influencé et nourri la science, à travers les cas de Giordano Bruno, de Kepler, de Descartes, de Newton, de Mesmer. Nous tenterons d’examiner la nature de cette influence paradoxale et d’en tirer les leçons concernant la place de l’ésotérisme dans la connaissance. 4) Enfin, dans une dernière partie, nous examinerons plusieurs courants historiques constitutifs de l’ésotérisme moderne et contemporain, comme la théosophie, l’alchimie, l’anthroposophie. The Faculty of Arts announces 18 funded positions as postgraduate student in the subjects listed below. A complete application must be submitted no later than noon (12:00), Friday January 20th, 2012. The application is to be made by means of the electronic form in The University of Gothenburg’s net-based Job Application Portal, where required attachments also are to be uploaded. Instructions for applicants are here. Final decisions about admissions will be made in May or June; all applicants will be informed. An announcement in a given subject does not entail a guarantee that anyone will be admitted within this particular subject. Applicants must be aware that the Faculty’s principle of announcing full postgraduate positions carries with it the expectation that the postgraduate as employee will be physically present at the workplace and interacting actively with the research environment. In order to be admitted as a doctoral student, you must have completed an undergraduate degree (First cycle) and at least one year of study at the Masters level (Second cycle). Normally the prerequisites for being admitted to a doctoral programme in a given subject include three to four terms of studies in that subject in the First and Second cycle. If you are uncertain about your qualifications, you should check with the relevant department. It is also advisable to check with the department whether it is possible for students who don’t speak Swedish to follow the required courses and seminars. Only students who have funding for the equivalent of four years full time study will be admitted into a doctoral programme; funding is normally obtained through a Faculty studentship. Faculty studentships in various subjects are normally announced once a year. Im Rahmen eines DFG-Forschungsverbundes ist eine Promotionsstelle zum Thema „Der Spiritismus und die modernen Medien (1770-1850)“ zu besetzen. Inhalt: Die Geschichte der (technischen) Medien des 20. Jahrhunderts ist ohne den Spiritismus nicht zu verstehen, weil dessen ‚Geisterkommunikation‘ Strukturmerkmale besaß, die auch die technischen Medien denkmöglich machten (etwa: Fernwirkungen, Entmaterialisierung der Kommunikation). Im Hintergrund dieser Entwicklungen stehen anthropologische Debatten, in denen psychische Wirkungen nicht mehr externen Faktoren („Geistern“), sondern internen Faktoren („Unterbewußtsein“, „übersinnliche Erkenntnis“) zugeschrieben wurden. Die Ursprünge dieser Transformation in den Jahrzehnten um 1800 sollen in der Dissertation untersucht werden. Die Laufzeit beträgt drei Jahre, Beginn: ab Februar 2012. The University of Amsterdam (UvA) is a university with an internationally acclaimed profile, located at the heart of the Dutch capital. As well as a world center for business and research, Amsterdam is a hub of cultural and media activities. The University of Amsterdam is a member of the League of European Research Universities. The Faculty of Humanities provides education and research with a strong international profile in a large number of disciplines in the field of language and culture. The Faculty is located in the center of Amsterdam and maintains close ties with many cultural institutions in the capital. Almost a thousand employees are affiliated with the faculty, and approximately 7,200 students are following the teaching programs. The Research Institute for Culture and History (ICG) has programs in Archaeology, History, Literature, Art & Cultural Heritage, the Golden Age, and European Studies. The emphasis lies on studying European culture from a historical perspective. 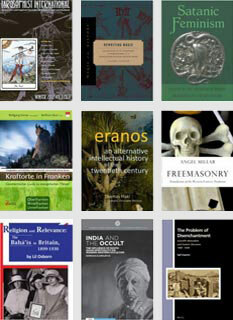 The Center of History of Hermetic Philosophy and Related Currents (GHF, www.amsterdamhermetica.nl) was founded in 1999 and plays a leading international role in the field. The Center is part of the Department of Art, Religion, and Cultural Sciences (KRC) and work within the context of the Program Team Religious Studies. The staff members of GHF provide a series of four modules (Hermetica I, II, III, IV) in the Bachelor Religious Studies, and a specialization program in “Western Esotericism” in the context of the One-Year Master and the Two-Year Research Master Religious Studies. GHF consists of three permanent staff members (one professor and two assistant professors) and two PhD students. 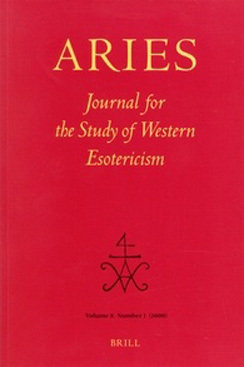 The Center focuses on historical research into a complex of movements in the border area between religion, philosophy, and science, today often summarized under the umbrella term “Western esotericism”. These include movements such as hermetism and gnostic religion in late antiquity; traditional sciences like astrology, alchemy, and magia naturalis; the revival of platonism and related currents during the Renaissance in the context of prisca theologia, philosophia perennis, and philosophia occulta; early modern currents such as paracelsianism, Christian theosophy, rosicrucianism, freemasonry, and illuminism; nineteenth-century movements such as spiritualism, occultism, and traditionalism; and related currents including the contemporary New Age. For a representative sample of the discipline, see the Dictionary of Gnosis and Western Esotericism (ed. WJ Hanegraaff et al. ), Brill: Leiden / Boston 2005. The intention is that one of the two candidates will do research on a relevant topic within the historical period from the Renaissance to the 18th century, and the other within the period from the 18th century to the present. 1. Title of the research project. 2. Brief description of the research question (a few lines). 3. A longer description of the research project, including attention to methodology and the nature/availability of the relevant source material (3 to 4 pages, line spacing 1 ?). 4. Explanation of academic relevance and importance of the research. 6. A planning, subdivided in periods of six months. 7. Summary of additional material costs. The research proposal must be accompanied by a cover letter and a C.V.
A list of possible research topics is available on request from w.j.hanegraaff@uva.nl. This list is intended to give an impression of the kind of research that could be considered, and an indication of some clear research gaps. * Good command of at least English and other languages relevant to the research project. The appointment (0,8 fte) will be from 1 February 2012 or a later date to be determined. The appointment will be on a temporary basis for a period of four years. There is a possibility for a further appointment for gaining teaching experience (up to 0,2 fte during this period of 4 years). Based on a full-time appointment (38 hours per week) the gross monthly salary will range from € 2042.- in the first year, to € 2612.- in the final year. The PhD research project will fall under the responsibility of the Institute of Culture and History (ICH) of the University of Amsterdam. Applications may also be emailed to bearing the vacancy number in the subject line and relevant documents as attachments. The closing date for application is January 1, 2012. University of Groningen MA Program, "Concealed Knowledge: Gnosticism, Esotericism, and Mysticism"
The Groningen Faculty of Theology and Religious Studies will launch a new Master program "Concealed Knowledge: Gnosticism, Esotericism, and Mysticism" (60 ECTS, entirely taught in the English language) as of the academic year 2012-13. (c) that the notion of 'Western' must be critically engaged in terms of postcolonial debate and processes of globalization. It is also possible to combine this program with a two-years Research Master. The program "Concealed Knowledge" is not the only one that will be launched next year; there are 3 more Master programs (60 ECTS each, all of them being taught in English). Modules of these Master programs can be combined with the program "Concealed Knowledge." Scholars of Religious Studies, Gender Studies, Art History, Music History, and Cultural Studies, as well as historians and literary critics, are particularly encouraged to contribute. Abstracts of approximately 500 words and a brief academic bio should be sent to Dr. Karolyn Kinane at by December 1, 2011. Abstracts should articulate how the article will advance theoretical and cultural understandings of medievalism and/or New Age and Neopagan movements. Acceptance of the abstract does not guarantee inclusion in the volume. Upon preliminary acceptance, contributors will be asked to submit articles of approximately 7,000 words by August 1, 2012. Editors reserve the right to reject articles that do not meet editorial standards. We anticipate a Fall/Winter 2013 publication date.